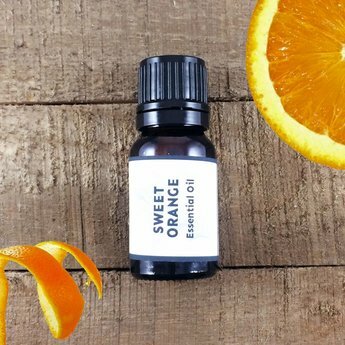 Sweet Orange (Citrus sinensis) essential oil has a delicate, sweet, fresh, fruity-citrus aroma with a light, peel-like undertone. Sweet orange is a cheerful, mood enhancer and stress reducer. When applied topically it can be used as a detoxifier and due to its antimicrobial properties it makes for a great cleaning agent. Direct Palm / Nasal Inhaler: Place a drop of oil in the palm of your hand, gently rub the hands together, cup your hands around your nose and take a deep breath in through the nose. You can also add several drops to nasal inhaler and breathe in throughout the day. You can repeat multiple times though out the day. Bergamont, clary sage, cinnamon, clove, frankincense, lavender, myrrh, neroli, patchouli, rose geranium, rosemary. Fun facts: Oranges are one of the most popular of all fruits. It is used in wood care products to protect against insect damage. Cautions: Though considered a safe non-toxic, non-irritant and non-sensitizing oil, orange oil is considered to be photo-toxic. Avoid exposure to direct sunlight after topical application to the skin.